DHAKA, Jul 31 2017 (IPS) - Life for Bangladesh’s rural people, particularly in its remote north, is still miserable. Seasonal flooding, river erosion, and the low quality of rural infrastructure and lack of connectivity have made things harder for poor northerners. Though the country has been elevated to the lower middle-income country club due to its overall income rise, largely because of growing remittance inflows, poverty is still widespread in rural areas. The situation worsens when there is a natural disaster like cyclone, flooding, or landslides. 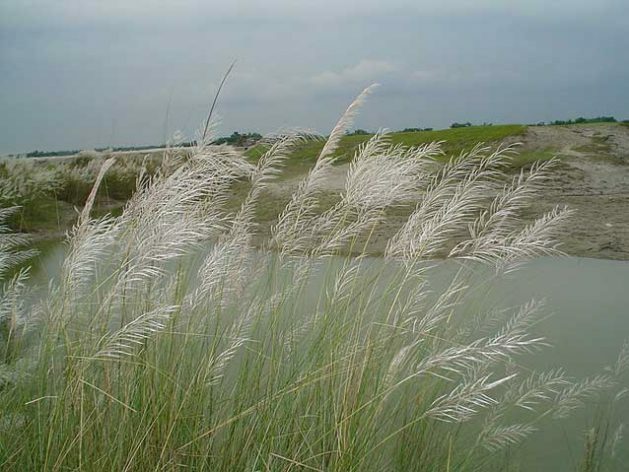 Since April, Bangladesh has suffered flash floods, with millions of farmers losing their standing crops and fish in its haor (wetland ecosystem) region. Then came the monsoon floods with an even greater onslaught, leaving millions of people either marooned or displaced. As the floodwater receded, people started falling ill with fever, malaria and pneumonia. It is a life of uncertainty and unpredictability. According to an article carried by leading Bengali newspaper, Prothom Alo, in its July 18 issue, 57,000 families were affected by the April flash flood in the country’s Sunamganj district alone. Disaster Management and Relief Minister Mofazzal Hossain Chowdhury Maya told journalists on July 12 that around 650,000 people in the country’s 13 districts, mostly the northern ones, have become victims of the seasonal flooding. The districts are Sirajganj, Bogra, Rangpur, Kurigram, Nilphamari, Gaibandha, Lalmonirhat, Jamalpur,Tangail, Faridpur Sylhet, Moulvibazar and Cox’s Bazar. Bangladesh’s northern region is an impoverished one by all accounts, and the blame for this largely goes to climate change. Yet things are expected to change thanks to the International Fund for Agricultural Development (IFAD)’s PROVATi³ project, which stands for “promoting resilience of vulnerable through access to infrastructure, improved skills and information”. As in other parts of Bangladesh, IFAD through its implementing partner, the Local Government Engineering Department (LGED) of the Bangladesh government, provides the ‘last mile connectivity’ to stimulate growth and commercialisation through market access, and increases resilience by diversifying incomes, and improving design and maintenance of infrastructure. Bangladesh has eight administrative zones. Rangpur division, the main project site, is the poorest. The Bangladesh Bureau of Statistics (BBS) quarterly data (April-June 2016) shows nationally 23.2 per cent and 12.9 per cent of the population live below the upper and extreme poverty lines, respectively. Rangpur division, Kurigram district, the main project district with nine sub-districts, is the poorest district of the country with 67.3 per cent of the population living below the poverty line. By other indicators such as the agricultural labour rate and education level of heads of families, which have a strong correlation with poverty, the whole Rangpur region, and Kurigram and Gaibandha districts in particular, are among the worst performers. With a total budget of 94 million dollars, the project has a strong rural infrastructure focus, investing about 74 million dollars (80 percent of the project cost) in climate proven rural infrastructure (markets, roads and shelters). The project also promotes capacity building and vocational training to diversify rural incomes (off-farm employment and entrepreneurship) thereby increasing resilience to shocks. More importantly, it contributes significantly to increased disaster and flood preparedness through improved information quality and accessibility. The project will be implemented in six districts –Gaibandha, Kurigram, Rangpur, Nilphamari, Lalmonirhat, and Jamalpur –with the main focus in the worst poverty-stricken districts – Jamalpur, Kurigram and Gaibandha. The major parts of these districts are flood-prone because of the convergences of the Brahmaputra (Jamuna River) and Teesta rivers. Within the six districts, the project will implement development activities in 25 poorer and vulnerable upazilas (sub-districts). The project infrastructure will be primarily built in 90 unions (councils), which are mostly char (shoal) and low-lying, and the worst poverty-stricken areas within the 25 upazilas (Sub-districts). For local flood forecasting, 19 upazilas (174 councils) of Kurigram, Gaibandha and Jamalpur districts have been chosen as they are affected by monsoon floods of the Brahmaputra River. Asked how the project idea was generated and what were the striking elements that IFAD agreed to support the programme, Philipp Baumgartner, an agricultural economist and Programme Officer (Asia and Pacific Region) at the Programme Management Department, told IPS that the area was selected given the high incidence of poverty and vulnerability of people. “Recurring floods and riverbank erosions are among the main causes of poverty in the area,” he said. Philipp said the PROVATi³ project would run for six years and aims to reach over 300,000 households, or an equivalent of 1.5 million people. With its own loan of 63.5 million dollars, Philipp said it would be the biggest IFAD project so far implemented in Bangladesh, while other projects partnering with the World Bank and Asia Development Bank have been beyond 100 million. A quick analysis of the project papers shows a deep commitment of the government of Bangladesh and IFAD to reduce extreme poverty, as the project areas are some of the poorest and most vulnerable districts in the country. Bangladesh is a country of 160 million people with the highest population density (more than 1,000 per square kilometre) in the world, excluding a few city states. It is striving hard to come out of mass poverty through strong economic growth. The average GDP growth over the last two decades ranged between 5 and 6.5 percent and is expected to grow at an annual rate of 6.5 per cent. But growth has been uneven among regions as well as population groups. The economy depends on agriculture, which is about 16 per cent of total GDP but employs more than 50 per cent of workforce. Over the last three decades, the country has achieved remarkable improvements in social indicators such as primary education and health care, girls’ education, access to safe water and sanitation, reduction in child mortality, higher of life expectancy. Still, there are discrepancies. This project, Phillip said, seeks to help the country go further within the framework of Agenda 2030 or Sustainable Development Goals (SDGs) as it did in the Millennium Development Goals (MDGs) to graduate out of poverty, permanently and with gender parity.